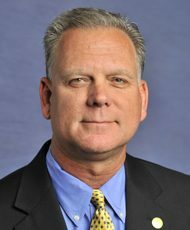 Stan was elected TCU/IAM National Secretary Treasurer by the TCU Executive Council, effective December 1, 2016. Brother Boyd was elected Vice President, beginning February 1, 2014. He was re-elected to that position at the TCU/IAM 2014 Convention. Stan Boyd began his railroad career as a yard clerk for Southern Railway at Chattanooga, Tennessee in 1979. He held various offices in Lookout Lodge No. 24 until becoming Local Chairman in 1995. In August 1999 Brother Boyd was appointed as Assistant to the General Chairman of System Board No. 96 and was elected as the General Secretary-Treasurer of SB 96 in April 2006. He served in that position until appointed as National Representative of Unit 96 in August of the same year.